The Branch Line Society and the South Devon Railway is delighted to announce an unusual private charter, which is now open for bookings. Starting at 17:15 at Buckfastleigh station, where ample parking is available, our train of five ex-BR carriages hauled by ex-BR Class 33 33002 will proceed to Totnes Littlehempston, taking in the loop at Bishops Bridge on route. At Totnes we will arrive in the run round loop so you will NOT be able to alight, but will gain access to an unusual section of track for a passenger train. We will be the first ever passenger train to terminate in the platform run round loop. After a “wrong side” run round, we will proceed to Staverton station for a scenic photo stop, before running through the Bishops Bridge loop, also in the wrong direction. Although not a first, this is certainly unusual and will appeal to “directionality” enthusiasts. We shall then return to Buckfastleigh where light refreshments can be purchased at the station, and a visit to the shed / workshop will be arranged. The arrangements are subject to a minimum of 40 participants at a members fare of £20 per person. Note that all profits in excess of the agreed minimum hire charge will be donated to the South Devon Railway. To book your place on this charter, please forward a cheque payable to Branch Line Society to Kev Adlam, 53 Kemble Close, Wistaston, Crewe, CW2 6XN. Any queries can be directed to or by telephone SSuX between 20:00 and 21:00 on 01270 662 396. Please include an email address with your booking where possible or alternatively provide a stamped self-addressed envelope. 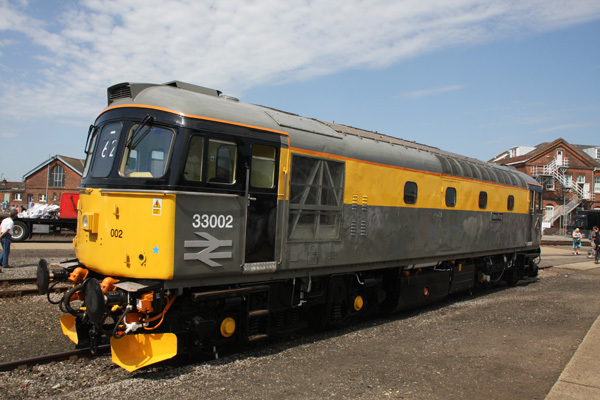 Details regarding further events in Devon over the same weekend have already been published including the earlier PLEG charter at Dartmoor Railway on the same day, and additional supporting fixtures will be announced as and when confirmed.